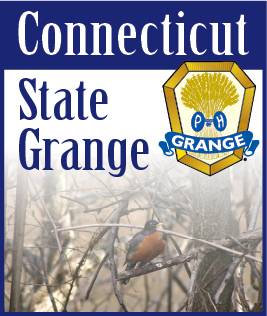 By Gordon F. Gibson, CT State Grange Legislative Comm. Governor Malloy delivered his budget message to the General Assembly on Feb. 4, the opening day of the 2016 session of the General Assembly. He did not pull any punches but told the legislators the State has to live within its income. This is similar to the head of a family telling everyone their credit cards are maxed out and they will have to survive paying cash for everything. In both cases the big question is how to do it. Governor Malloy offered some guidelines for the General Assembly. The State needs to acknowledge that not all projects are essential core projects and prioritize spending to only what are really core projects. This means cutting spending on things that are nice to have but are not really necessities. The problem is that different people have different priorities. This includes both the legislators and the general public. It is like a family with several children, each of whom has a different idea of what is the most important thing for the family to have. The Governor urged the General Assembly to reduce spending by all state departments but also to give the department heads more discretion in how they are going to use their limited funds. At present the General Assembly passes a budget with a great amount of detail concerning what the funds are to be spent on. The problem is that situations arise during the year which require prompt action but the agencies cannot do much about those situations because they do not have enough funds detailed to those particular kinds of situations. Going back to the family analogy, it is like having a washing machine break down beyond repair but not replacing it because money has been set aside for a new clothes dryer, not a new washing machine. The Governor’s proposal is like the head of a family telling the children they will each have a certain amount of money to spend on whatever they want, but when it’s gone, it’s gone and don’t come back asking for any more money. Pensions for state employees are another major issue in the budget. Pension plans have been revised from time to time to match what private industry is offering their employees. Like private industry, those who have worked for the State for a certain time are “grandfathered” into the pension plan they started with while new employees are offered only the current pension plan. The problem today is that the State did not make the contributions it was supposed to make into the oldest plan. Most all the employees who were in that plan are now retired and the State is obligated to pay these retirees the pensions they are entitled to receive. Governor Malloy is asking the General Assembly to acknowledge there is not enough money in the pension fund to pay the State’s obligation to these retirees and pay them directly out of current income. Employees enrolled in the newer retirement plans have money deducted from their paychecks and invested in programs similar to the defined contribution plans generally available to new employees in private industry today. Governor Malloy has also recommended no new tax increases this year. The reason behind this is very simple. All the members of the General Assembly are up for reelection this year. Those seeking reelection know any tax increase will hurt their chances for reelection, regardless of their political affiliations. Meanwhile, all the individual legislators are filing bills to be considered this year including many bills to reduce the state income tax in various ways. Those all sound good on paper, particularly in an election year, but given the State’s financial situation most of those bills will not even get a public hearing this year.